Matcha Match 2’s sweet was a cinnamon tompouce (Dutch vanilla slice) from Aldi. Just like its Japanese counterpart, Korean malcha is a shade-grown tea that’s stoneground into a powder. Tea Total specialise in Korean tea, so it was nice to be able to buy this at the recent Sydney Tea Festival. I found this matcha frothed quite nicely. It had an earthy green taste and a slight creaminess, quite smooth to drink. Bonus points for this being an organic product. I chose this as the competitor matcha because Fukuoka is almost as far away from the traditional matcha-producing region (Kyoto) as Jirisan in Korea, though Yame is well-known for its tencha (shade grown) production. Difficult to whisk, this matcha was rather clumpy—next time I will probably sift it before whisking. Despite this issue its flavourful liquor, richly marine, shone through. It’s Wang San Yang’s Premium Matcha for its beautiful marine notes. 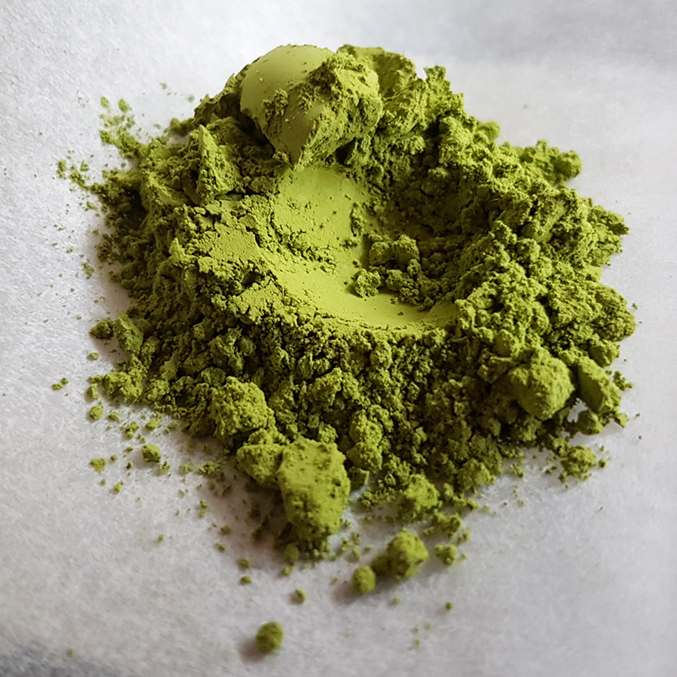 While the malcha had a better texture due to its superior frothability, the WSY matcha had a taste I’ll continue to dream about long after the bowl is finished, washed and dried. Which is not to say I won’t enjoy the malcha while it lasts! 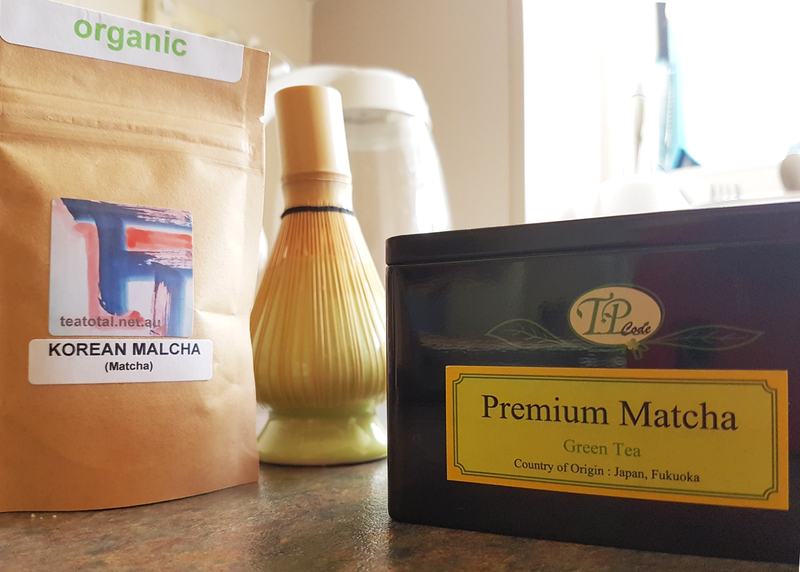 I make two bowls of matcha from different brands and see which one is the best. ‘Best’ is defined by frothability, taste and texture. However it is, of course, ultimately subjective. 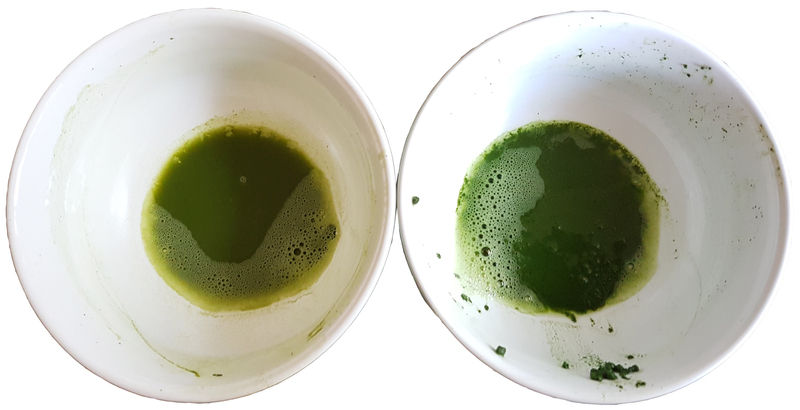 Place Matcha 1 into Bowl A and Matcha 2 into Bowl B.
Pour hot water into Bowl A. Using ‘keep warm’ function, ensure kettle keeps the water at the same temperature. Whisk matcha in 30 strokes. Clean whisk of residue. Pour hot water into Bowl B. Whisk matcha in 30 strokes. Nibble sweet and take two sips of Matcha 1. Nibble sweet and take two sips of Matcha 2. Drink remainder of Matcha 1. Drink remainder of Matcha 2. I’m not a matcha expert and as such all opinions expressed herein are that of a regular consumer. I have no affinity or stake in any of the brands mentioned in these Matcha Matches. All products have been purchased. This entry was posted in drinking and tagged green tea, matcha. Bookmark the permalink.